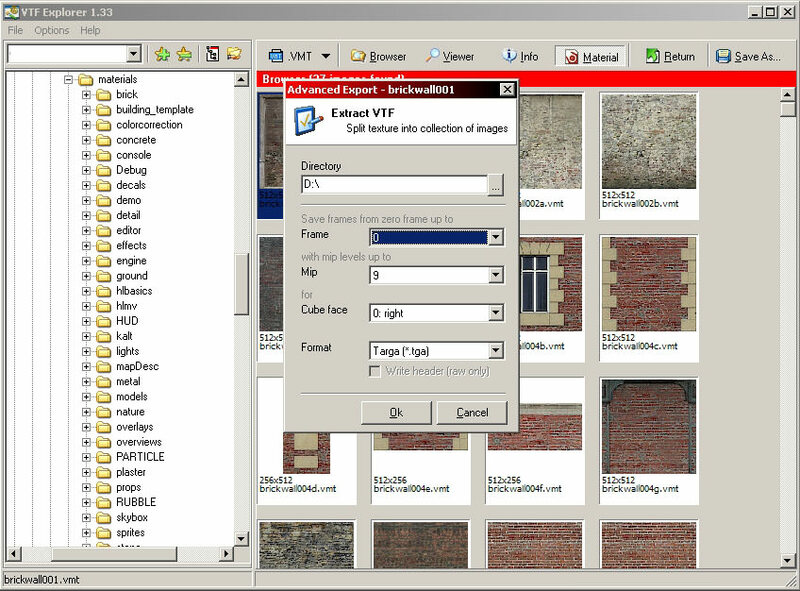 VTF Explorer is a tool for viewing, converting and extracting from GCF files Source materials. It is also capable of viewing, modifying, and creating VMT files in GUI. The VMT editor is really extensive, and it is similar to editing entity properties in Valve Hammer Editor. The program was written by Vyacheslav "Hoaxer" Dzhura entirely in Borland Delphi 7 except for srcwrapper.dll which manages VTF files through Valve's ImageLoader class to do all the work. If you need more information please contact the developers of VTF Explorer (Vyacheslav 'Hoaxer' Dzhura), or check out their product website.